Cheap (well, relatively), quick, easy to fix and modify, the MG TC really was the one car that can be said to have launched sports car racing in America. You’ll probably be surprised to find the names of so many of the later big-time drivers among those who cut their teeth on this little machine. 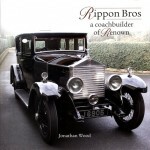 This fun book is a compilation of articles originally written for Classic MG magazine, an independently published magazine for MG enthusiasts in North America to which Goodwin was an early contributor. The 79 vignettes portray the early sports car racers from the 1950s and their MGs, including one-off or limited-edition models. An award-winning automotive author who is himself an SCCA racer, Goodwin actually seems to be enjoying what he’s writing about. (Just read the Dedication to get a sense of that.) 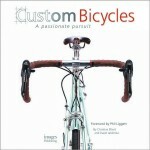 This makes these 79 biographical profiles fresh and interesting even though they cover the same general outline for everyone: first MG driven, races entered, an abbreviated win/loss record with dates and location, what they did for a living, what happened to them personally while they were doing it, and where they are now. Material that could be deadly dull if used in a purely repetitive format escapes that fate because Goodwin personally communicated with the drivers listed (or their survivors) and used what he was told in describing their experiences. This brings forth a genuine feel for the personalities of the racers that researching club records and racing statistics alone would miss. Goodwin obviously put in a lot of one-on-one interview time and legwork writing this book, and it pays off in a big way, making this book worth owning. Although the pictures are reproduced as low-definition prints in black and white (primarily taken by the family and friends of the racers involved), there are lots of them, and they help make the stories personal and individualistic. Beyond that, the pictures display a broad swath of early custom-bodied MGs not often seen in one place. The custom-bodied Keift MG, Moto-bodied MG Special, Arnolt MG by Bertone, Leonidis MG, Lester MG, McAfee MG-TC, R-1 and R-2 MG Specials, and the Wonder/Guilardo MG Special are all shown in action or loitering around early US sports car race courses. In addition to the MGs, other one-off and limited edition small-displacement sports cars are shown where appropriate: Stanguellini 750s, a couple of Siata Spyders, various OSCAs and Elva Mark Is, a 748cc Crosley-engined Giaur, and a Bandini. Last but not least, the usual suspects like Alfas, Ferraris, Jaguars, Cunninghams, Porsches and many more, are all identified in every photo. 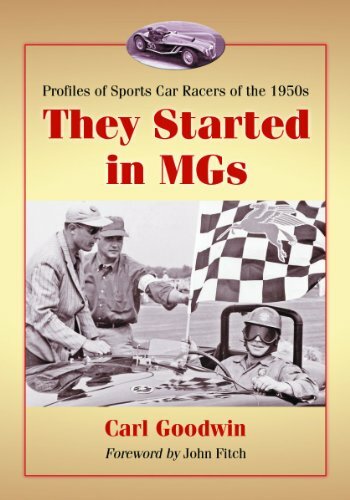 Although the book is about the people involved and not directly about the car itself, a lot of early racing lore concerning MGs, their faults and strong points, leak through the narration and provide the reader with a broad overview of why MGs were so successful on the track. Written deeper between the lines is a social description of the people who raced not for money or international fame (in most cases at least; some did go on to fame and fortune), but because they simply enjoyed doing it. Lots of small business owners, engineers, movie producers, owners of foreign car dealerships, actors, ex-military pilots, airport owners and, logically enough, automotive magazine writers. All were independent professionals with the rare exception of a Greyhound bus driver and a few other working stiffs with an uncontrollable desire for adventure and competition that overpowered their lack of common sense and expendable wealth. Money always helps, of course, but the lack of it did not stop those with an overwhelming need for dangerous pastimes and thrilling experiences. A clear-cut world of winning and losing, dependent primarily on your personal abilities, is a powerful draw for anyone feeling hemmed in by dull reality and denied an outlet to experience life out on the edge of acceptable behavior. Who better to write the Foreword than John Fitch, the first American to race automobiles successfully in Europe in the postwar era and who would go on to make so many contributions to racing in America as a driver and later safety activist. 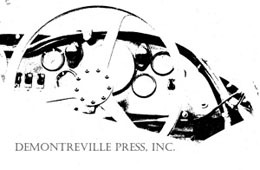 The Bibliography lists correspondence, interviews, and a list of books/periodicals. The Index is almost unnecessary, but useful.